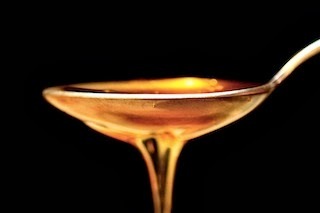 Today's article comes about from a serendipitous collaboration by three of our readers, all related to the one food that can be preserved almost indefinitely –honey– the edible kind, or so we once thought. After 2000, our federal government underwent massive across-the-board deregulation in banking, brokerage, insurance, pharmaceuticals, importation, and our food chain. America's paid the price since with dangerous chemicals, lead, and antibiotics showing up in our food supply from contaminated milk and eggs to vegetables, chicken and fish. But that's not all. Once we simply worried about Africanized bees, but the situation's grown worse. Now honey's at the root of international skullduggery and criminal prosecution. First, our writer and reviewer friend, Vicki Kennedy, sent me an article about honey fraud– honey so processed it's not only lost the characteristics that make it honey, but its sources cannot be identified. 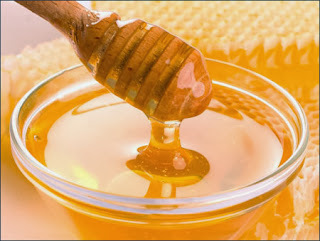 Such honey is often polluted with toxic metals, banned adulterating chemicals, and dangerous antibiotics such as chloramphenicol (CAP) known for causing incurable aplastic anemia, bone marrow toxicity, and an increased risk of leukemia. The fraudulent honey is so ubiquitous and pervasive, that ¾ of products tested from store shelves couldn't legally be classified as honey. Worse, NONE of the 'honey' found in top national drugstores or McDonald's or KFC could be considered the real thing. Unlike our hobbled FDA and U.S. 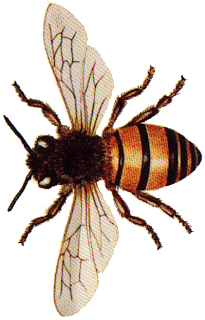 Departments of Agriculture, Commerce, and Homeland Security, the European Union acted quickly to ban the bogus honey. Surprise! Potentially laced with chemicals and lead, much fraudulent honey is Chinese, notorious for tasting like– and stinking like– sauerkraut. To offset the taste, Asian producers often add banned artificial sweeteners. The Sioux Honey Co-op, the largest in America, has avoided publicly commenting on the scandal despite obvious involvement. One of the nation's largest distributors is Honey Holdings in Baytown, Texas, a company with a reputation for buying any junk honey, tainted or not. It sold contaminated honey to Sara Lee and Smuckers, which in turn sold to the Ritz-Carlton Hotels, potentially passed on to a million or more consumers. Pollen carries the identifying DNA that allows scientists to pin down where honey originated. Ernie Groeb, the president and CEO of the world’s largest packer of honey, Groeb Farms, claimed he made no particular enquiry about the pollen content of the 85 million pounds of honey his company buys. You might think that a bit ingenuous, so remember these names, Groeb Farms and Honey Holdings. This was interesting, but I opened another eMail from editor and our friend Cate Dowse. Lo and behold, it was also about honey, this time about a German foods company that became one of the world's largest market manipulators and their American subsidiary, responsible for infiltrating millions of liters of illegal Chinese honey into North America and Europe. Relying upon the gutting of American inspections, they routed garbage honey from China to other countries around the world, filtered out identifying pollen, and shipped it on to the US, where their subsidiary sold it to other companies, some unsuspecting, others like Honey Holdings and Groeb Farms fully aware of what they were getting. When the government didn't take action, fellow bee growers did and brought suit. Groeb filed for bankruptcy protection. Honey Holdings barely escaped the same fate in a deferred prosecution plea deal. With an impotent Department of Agriculture and Food and Drug Administration, states have begun to set standards led by (gasp) Florida. In fact, Nancy Gentry, owner of the small Cross Creek Honey Company in Interlachen, has become the spokesman and driving force behind the legislation. The good news is the US Government if finally bothering to prosecute, although the German company and China are unlikely to face repercussions. My young friend, Dylan Plucinik, asked what Sunday's article was about and I answered adulterated honey. "Did you know about blue honey?" he asked. "And green? From French M&Ms?" In fact, I had not. I googled and turned up exactly what he said. It turns out French bees discovered sugary barrels at an Alsace company that processed scraps from the Mars candy company. 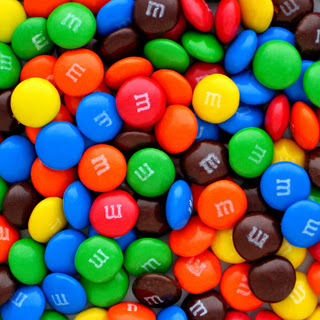 It makes perfect sense from a bee viewpoint: Why track down nectar when you can harvest M&Ms? Wow! Here's a food that has been known for millenia as one of the signposts of health and abundance (not for nothing was the Biblical promised land said to be "flowing in milk and honey"), and look at what's happened to it. This is a criminal action of the very basest sort. We've just been "talking" here about the victims of crime. This one impacts millions. I enjoyed your article this morning, Leigh-especially the ending. It was the one bright spot in the story regarding the abuse of honey. I laughed at the bees and their colored honey source. Why haven't we heard more about this honey scandal? Perhaps because it's a massive failure of the people paid to protect our foods? China seems loaded with criminal enterprises but I'm surprised a German company appears to have masterminded the crimes. Vicki, thank you for starting this investigation. In the beginning, I didn't realize we might form a SleuthSayers article out of it. Anon #1, I thought the same thing, that honey was the one food that was supposed to be safe and even sacrosanct. I mean it's Biblical! Anon #2, there appears to have been plenty of Chinese involvement, but apparently the German company facilitated market penetration in the Western world. But this isn't the first time it's been pointed out to me that Europe is much stricter about regulating and banning harmful chemicals and foods that the US turns a blind eye to. How odd with the Germanic connection that the tainted honey smelled/tasted like kraut. Man, am I glad I stopped using honey to sweeten my tea and coffee several years ago. Ted, I assume you mean sauerkraut. I hadn't thought about it but yes, it is an unfortunate coincidence. Louis, I love comb honey and I used to get it from a farmer in mid-Minnesota. His was so pure and delicate, it was almost transparent. I think two of them claim to be created from mesquite pollen. And, I always wondered how they could be sure the bees only visited the mesquite trees.